The decision came after the months of vocal opposition from neighborhood groups, with members bringing up the unruly crowds that gathered outside the Daiquiri Place Café, two blocks away at 1401 St. Charles Ave. That business was shut down in 2012 after the city revoked its liquor license due to repeated, multiple violations. Banks said his decision was also influenced by childhood memories of living around the corner from a nuisance bar. The council’s vote followed a mixed vote by the City Planning Commission, which sent the proposal to the City Council without a recommendation. Ferdinand Jefferson, who was seeking the permit to operate Tiger Paw Daiquiris at the location, and Baton Rouge attorney Jamie Watts outlined his plan to address the neighborhood concerns by securing 10 parking spots behind the building, hiring armed security guards, adding more seating, playing only “soft, easy-listening music” and other measures. The council was not swayed. “We take these zoning matters very, very seriously,” Banks said. He agreed with Lower Garden District neighbors that sales of to-go mixed drinks is not an appropriate use for the 800-square-foot space, which most recently housed the Krewe du Brew coffee shop. Banks, who generally supports business development in District B, said he recently visited Jefferson’s Tiger Paw Daiquiris & Grill in Baton Rouge on four occasions and found it to be a well-run business. Neighbors speaking in opposition to the permit said they trust Jefferson but not his business plan. 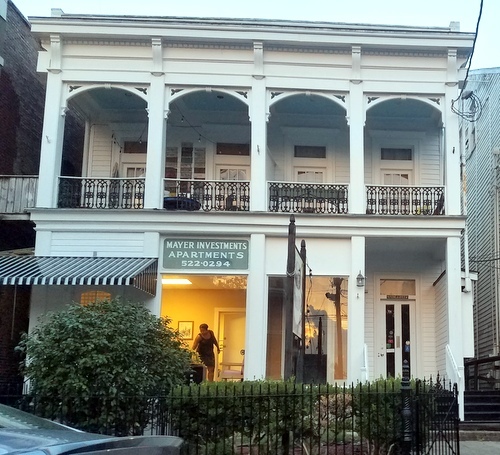 Polly Watts, a Lower Garden District resident who owns the Avenue Pub at 1732 St. Charles, said she would welcome a business like Jefferson’s Baton Rouge restaurant and would welcome Jefferson as a neighbor, but she could not support a bar that does not also sell food.